Spectators could use this to know what type of guns players have. 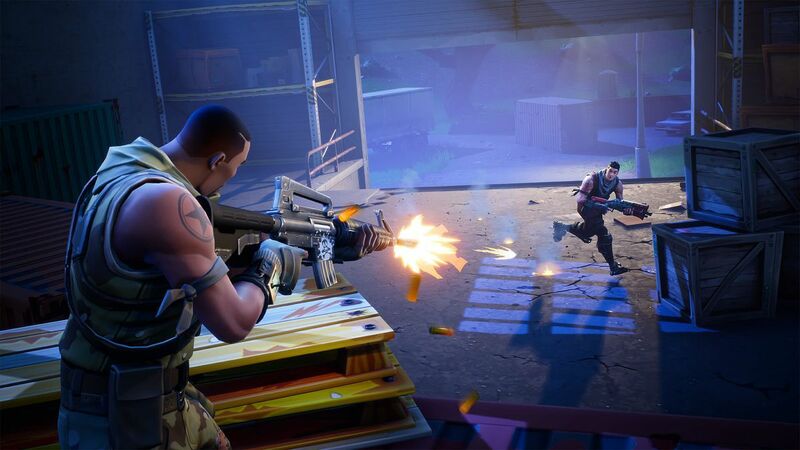 As Fortnite: Battle Royale continues to grow in popularity, fans have started to discuss ways to make the game even better than it already is. One Fortnite fan in particular, Reddit user crz4all, posted an interesting chart that would make it easier to differentiate between weapons. 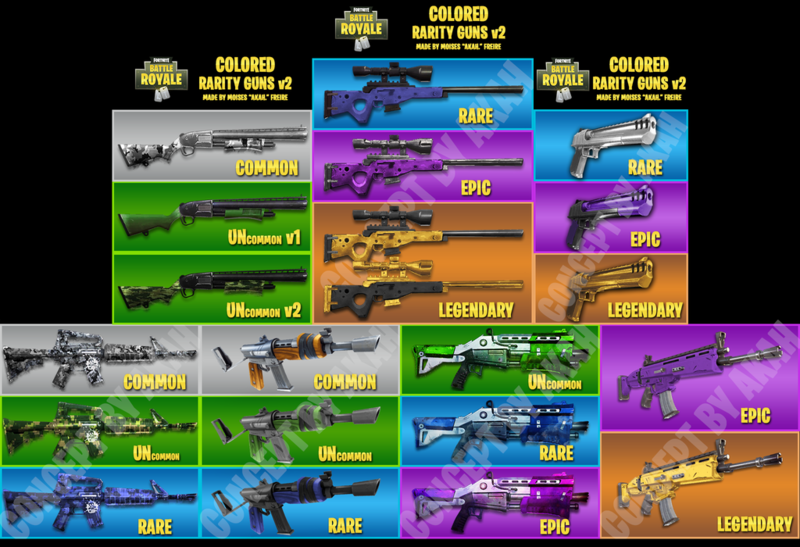 The image shows several popular Fortnite weapons that are each a different color based on their in-game rarity. Currently in Fortnite, all weapons look the same regardless of their rarity. But this theorized color concept would change that, allowing players to know what type of weapon their teammates have without even having to ask them. Not only that, but it would be a very welcome change to help out spectating the game on streams and in an esports setting. A small quality of life change like this could go a long way, and Epic Games has shown numerous times that it will listen to the community to bring along in-game changes that fans want to see.